Six law students and an undergraduate student from the School of Social Work are set to participate in the inaugural semester of the Veterans Legal Clinic the fall of 2018. 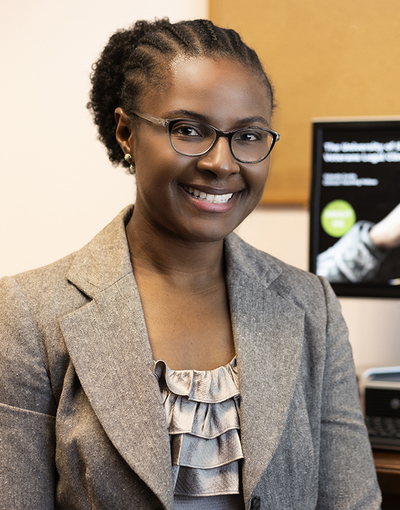 Clinic director Yulanda Curtis, who helped launch a similar program at the University of Michigan, is eager to replicate that success here in Illinois. The clinic will focus on the civil legal needs of veterans in the community, including family law cases, consumer disputes, and evictions. The clinic will also assist veterans with service-related matters such as discharge upgrades. Many veterans cannot afford to hire an attorney and veterans, as a population, have a disproportionately high need for legal help. “In this state a lot of law school clinics are geared towards veteran’s benefits, but a recent study from the VA actually shows that the unmet needs of veterans are more legally related, so we are hoping that by focusing our clinic on those unmet needs, we can fill a gap,” Curtis said. “Veterans are a unique case, because typically they aren’t comfortable asking for help. By branding the clinic as something specifically for them, it feels (to them) like something that they have earned as a result of their service, rather than a handout,” she said. Since her arrival on campus this summer, Curtis has been pounding the pavement in order to get the word out and recruit potential clients and partners. “The community that has been created around veterans clinics is amazing, and there is already a great network in place for referrals. I have been tapping into that, as well as meeting with the Center for Wounded Veterans on campus, various veterans service organizations, and local judges,” she said. Curtis hopes that students who participate in the clinic will come out with a different perspective of veterans and how to help them, as well as having had a great experience practicing the law. Curtis credits her own experience growing up in a military family with shaping her approach to working with the veteran community. For inquiries related to the Veterans Legal Clinic, or to simply welcome her to the College of Law, please contact Yulanda Curtis at yulanda@illinois.edu.